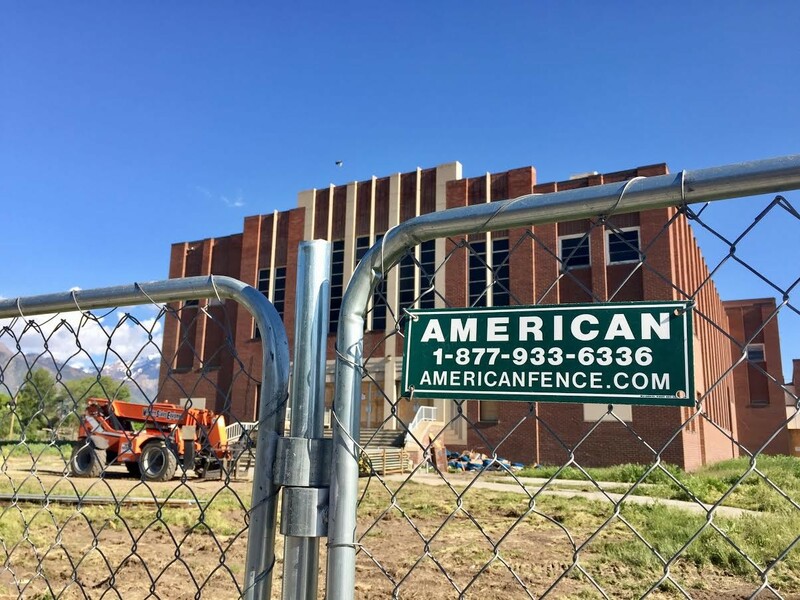 Demolition of the former Granite High School buildings will likely happen sooner than initially expected, according to comments made at a South Salt Lake City Council meeting last week. 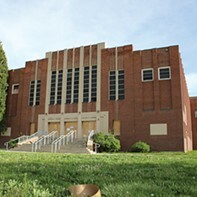 Early estimates pegged the demolition date to be around August, but it was recently revealed the city expects demolition crews to raze the buildings by the end of June. Before they’re knocked down, the city is considering whether it wants to preserve any memorabilia, design or artwork adorning the walls. 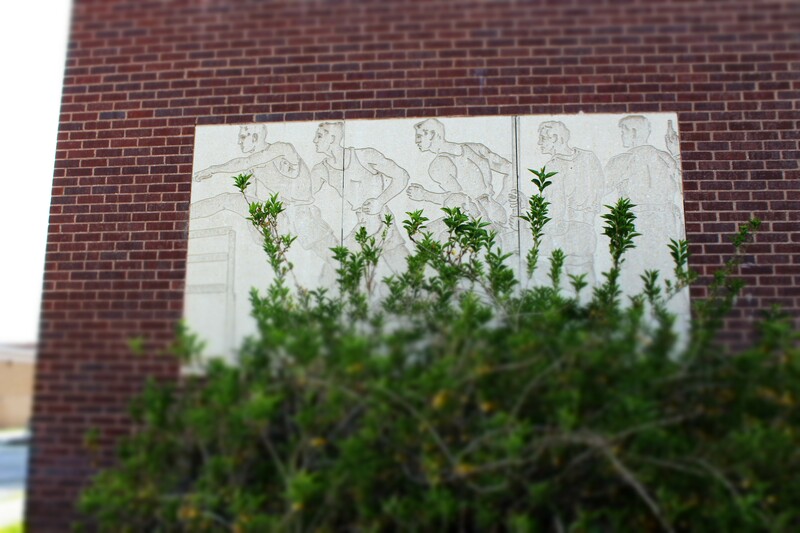 The demolition company says it can cut out, for example, a relief mural depicting a track and field scene on an outside wall, or the center court logo on the basketball court, or the gymnasium scoreboard, or maybe even the entry archway facing 500 East—at a cost. 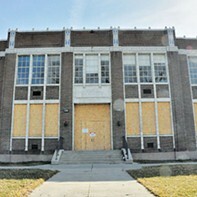 South Salt Lake Community Development Director Mike Florence received estimates from the company hired to demolish the buildings on the prices to remove about 14 items throughout the school before it all comes tumbling down. The mural would cost taxpayers about $3,800 to save; the scoreboard about $3,600 to dismount; and the archway would run about $94,000. The city will decide whether it plans to preserve some, all or none of the identified items. It could also try to hire a cheaper company to remove them. Councilman Ben Pender disagreed, arguing the school was a community staple and that the city had an obligation to preserve and display some of the items. Pender, a class of ‘85 Granite High graduate, says he’s disappointed the school will no longer stand, and remarked on the close ties between South Salt Lake and Granite High. Relief on the main building's east side. Before a yet-to-be-scheduled meeting, city officials will try to reach a consensus on which if any pieces they aim to keep, how much they’re willing to spend, and whether any partners can help out. The art and decals would be a small token for the residents who had hoped to preserve, restore and repurpose entire buildings on campus. 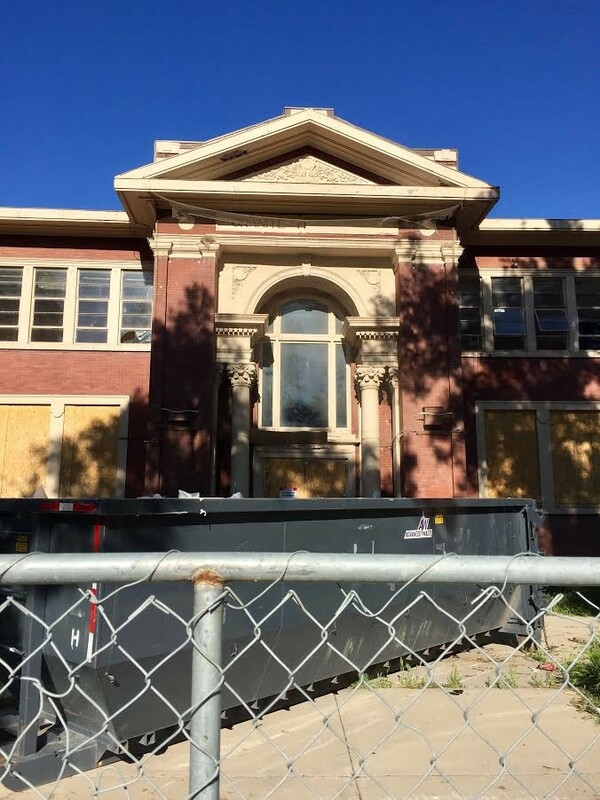 The Utah Arts Alliance recently led a push to add the buildings to the national registry of historic places—but even if that designation goes through, it wouldn’t add any legal protection to save the schools. The city has already collected keepsakes that were stored in the school’s trophy case and yearbooks. If none of the larger items are saved, residents can still pick a nostalgia brick from the post-demolition rubble, as a reminder of the school that once stood in the heart of the community. “They’ll have a huge pile of bricks. They’ll put them at a certain location, and people can come by and grab a brick on a certain date,” Florence said.